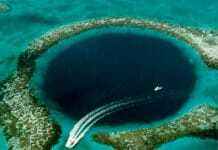 Belize, to divers the mere mention of the name, brings forth an iconic image of the Belize Blue Hole. Even non-divers often recognize aerial photographs of the blue hole thanks to Jacques Yves Cousteau’s television series “The Undersea World of Jacques Cousteau”. His episode “Secrets of the Sunken Caves” back in March 1971 featured the blue hole and brought it to the worlds attention. That sparked the interest that remains today. Belize is a Central American country with a growing reputation as a tourism and retirement destination. Previously known as British Honduras, it has long been a special dive destination thanks to the Belize Blue Hole, the atolls and the Belize Barrier Reef. The year 2016 saw about 1.35 million tourists visiting Belize. Quarterly reports for 2017 show an average 10% increase in the 2016 numbers. However, the tourist numbers at first glance can be misleading. Almost 75% of that number, 1 million tourists, are day tourist. Cruise ship passengers who sightsee during the day and are gone by nightfall. Most of those just see Belize city and the surrounding area. The 350,000 tourist each year that stay overnight are made up of scuba divers, nature lovers and those interested in the Mayan culture. About 50% of this group have scuba diving as their primary reason for visiting.  While the Belize Blue Hole is a key draw for divers, there are many other aspects of diving to attract the dedicated scuba diver. Atolls are generally found in the Indo-Pacific. There are four atolls outside of that region often called the Western Hemisphere Atolls. Of these four atolls, three are located in Belize. Lighthouse Reef Atoll, Glover’s Reef Atoll, and Turneffe Atoll each offer something unique. At one time, an atoll was an island with a fringing reef. Rising seawater caused the islands to flood, while the fringing reef continued to grow. Eventually, the fringing reef becomes higher than the island and the atoll is formed with an internal lagoon. Patches of reef start forming on that were once the island. The atolls are outside of the barrier reef, beyond the fringing reef around the atolls is deep water. The Lighthouse Reef Atoll is the most famous of the Western Hemisphere Atolls being the home of the Belize Blue Hole. The atoll is about 30 miles long and 8 miles across, It is also home to Half Moon Caye. 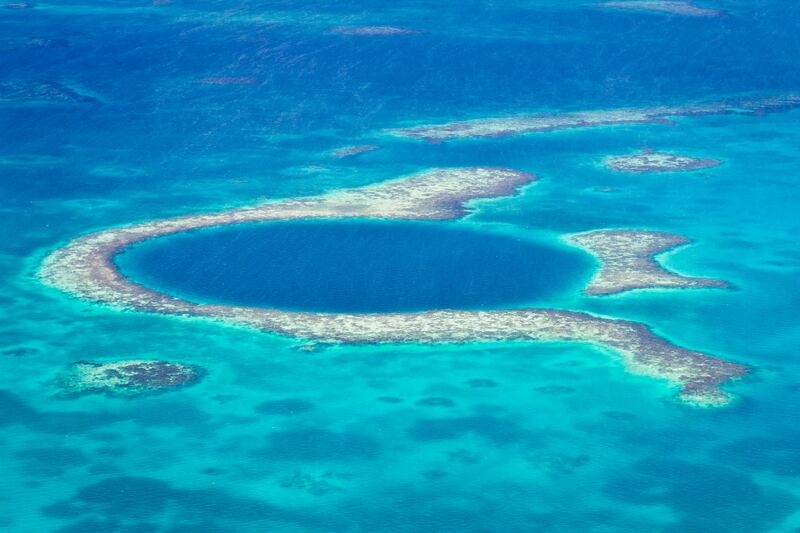 Both the blue hole and the caye are national monuments and UNESCO heritage sites. Most trips to dive the blue hole start with a three or four-hour boat ride leading to a dive into the blue hole. After that dive, there is a lunch and maybe snorkeling at Half Moon Caye. A second dive happens at one of the Half Moon dive sites or one at Long Caye which is nearby. Lighthouse Reef Atoll deserves more than such a brief visit. There are over 25 dive sites located in the atoll. Staying at one of the small resorts on Long Caye or visiting on a liveaboard gives you the chance to dive these remote sites. Additionally staying in Long Caye means you will be diving the Blue Hole before any other divers arrive. 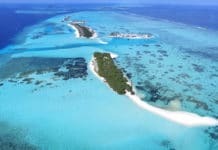 Turneffe Atoll: Turneffe Atoll is the largest of the Atolls approximately 30 miles long and 10 miles wide (48.3 km long and 16.1 km wide). In addition to its outstanding diving, it is also a well-known location for saltwater anglers. The Turneffe Flats draw fisherman from around the world. Glover’s Reef Atoll: Glover’s Reef Atoll is named for brothers John and Rodger Glover, pirates that used the atoll as his base of operations. The atoll is 20 miles (32 km) long and 7.5 miles (12 km) wide. 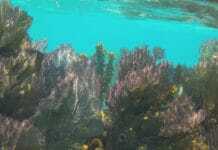 The interior lagoon is dotted with around 850 reef patches and pinnacles rising to the surface. The diving is outstanding. Accommodations are few and on their own private islands. The 9 acre/5 hectare Northeast Caye is home to Glover Atoll Resort Island Lodge. Guest here can choose from camping, staying in a dorm or a thatched cottage. They may also choose to bring their own food for cooking themselves or taking some or all meals in the restaurant. Glover’s Atoll Long Caye Resort on Long Caye and Isla Marisol Resort on Southwest Caye are two other resort on their own islands. Glover’s Reef Research Station is located on Middle Caye has accommodations for those involved in research. The remote nature of portions of the reef, the marine reserves, and less diving pressure means divers have outstanding diving. 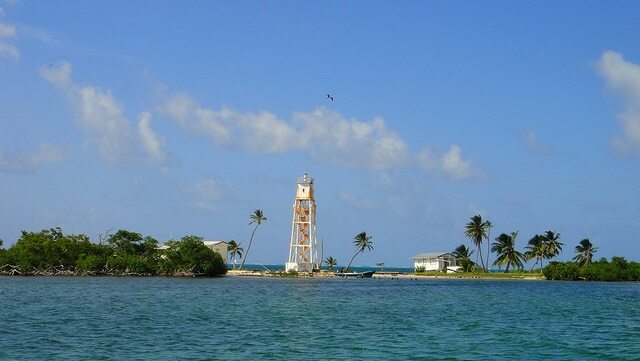 The Gladden Spit and Silk Cayes Marine Reserve (GSSCMR) is located in the Southern Belize Reef Complex (SBRC). This is about 22 miles (36 km) off the coast of Placencia in the southern portion of Belize. The driving force behind making this area a marine reserve is that the area is the spawning grounds for over 25 species of fish including grouper and snapper. It is the largest aggregation breeding site in the Caribbean. The spawning season runs from late March/ early April to late June/early July. This activity attracts whale sharks who come to feed on the eggs. Most places that advertise diving with whale sharks end up being just snorkeling with them unless you happen across one while diving. Many locations outlaw scuba diving with the whale sharks. They often claim some danger in diving with them and limit interaction at the surface. The bubbles from your scuba may also scare them away. Things are different in Belize. The local government does limit the number of people having interaction with the whale sharks and the times but scuba diving is not discouraged. In fact, diving can help enhance the experience. Whale sharks spend most of there time deep away from the surface. Divers go down below the shallow fish and wait. The bubbles from the scuba are though to confuse the whale sharks into thinking there is spawning activity going on. So they come up to investigate. this gives divers a unique experience. The fish spawn at night so night dives are not allowed so that the spawning fish are not disturbed. The spawning is influenced by the full moon starting a day or so before and ending a week or so after. In Cancun Mexico to the north, you will see kilometer after kilometer of high rise hotels and condos. In Belize, the tallest building is Caana (meaning sky palace). This is the main pyramid at Caracol, an ancient site that was larger and more populated then modern Belize city. It was abandoned in approximately 950 AD. 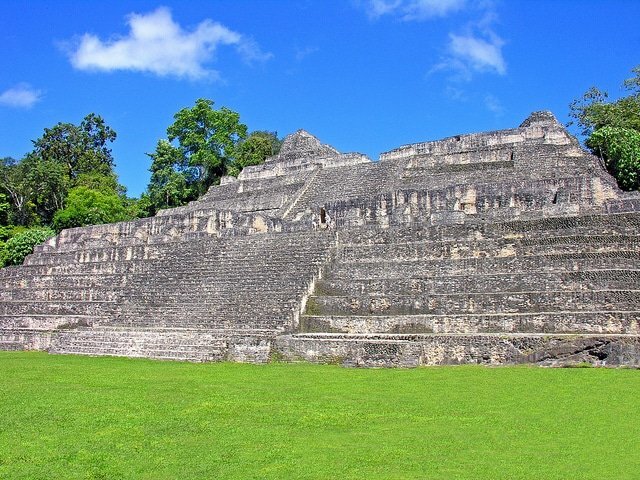 These and many other Mayan sites add depth to your visit to Belize.